PIPINO SERVES 100% PLANT-BASED DISHES. We know how hard it is to be vegan in Manila, and we believe that vegans should be able to go into a restaurant without having to worry about having unwanted meat in their dishes. At Pipino, you'll enjoy generous servings of 100% Plant-Based Meals, because contrary to what many think, vegetarians DO eat -- and we're only picky because we like to eat well. Pipino started as a 6-item line under PINO's menu back in April 2010, in celebration of Earth Day. After 6 months, the team developed more dishes and desserts, and opened the green doors of the 100% vegan restaurant in Teachers Village, Quezon City. Vegetarians, vegans, and veggie-lovers flocked to Pipino for "veganized" Filipino favourites like Kare-kare with black bean bagoong, Portobello Inasal, Mushroom Salpicao, Pinakbet Risotto, and for the vegan cupcakes, cookies, and ice cream. A peek into our COZY RESTAURANT LOCATED IN TEACHERS VILLAGE, QUEZON CITY. 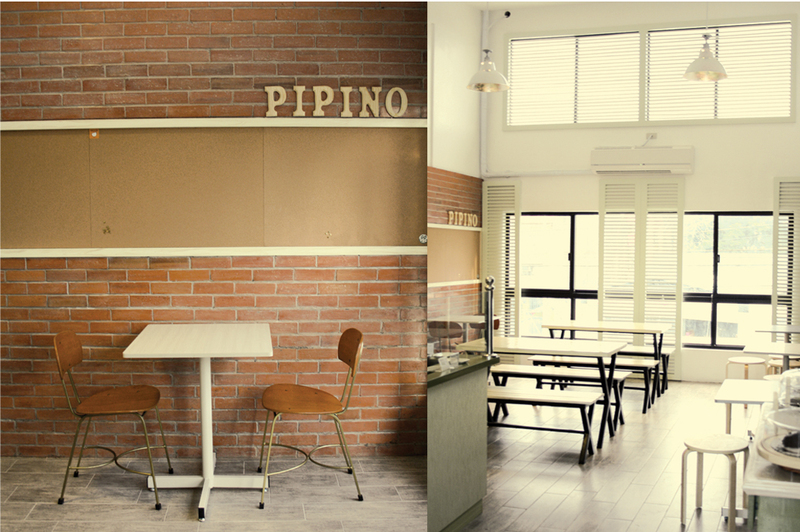 HOLD YOUR NEXT EVENT AT PIPINO! Our Malingap branch seats 20 comfortably, but can accommodate up to 28 guests. Set menus are available upon special request. Call (02) 4411773 to make a reservation.